It’s Tuesday, and you know what that means! This Tasty Tuesday excursion took me to the eco-friendly Global Village Organic Coffee. As a coffee lover, I was excited to try a new coffee joint. As I walked in, I was hit by the realization that pumpkin spice coffees are back! It’s fall, ya’ll! Unable to pass up this opportunity, I started off my order with a large pumpkin spice white mocha (hot, even though it’s also available iced). My first sip tasted just like fall. It was the good kind of pumpkin coffee (not the kind that tastes slightly like cardboard) obviously mixed with some white chocolate. Pumpkin spice coffee has become kind of a joke when really, it’s just delicious. Because I went at lunch time, I also ordered a sandwich. They have four options, two lunch and two breakfast. I love breakfast food so I got the egg, canadian bacon, and cheese english muffin with hollandaise sauce. Don’t know what hollandaise sauce is? I didn’t either. It’s a mixture of egg yolk and liquid butter seasoned with some lemon juice and a little salt. Sounds interesting right? It was delicious. The english muffin was grilled right when I ordered it, so it had a perfectly crisp outer shell. The hollandaise sauce gave this breakfast sandwich a hint of citrus zest that added an amazing twist to this classic combo. 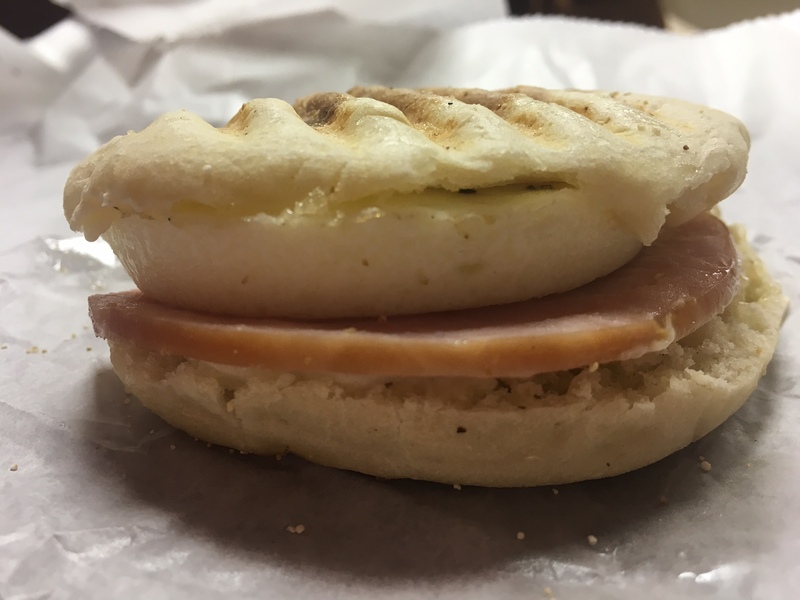 I’m afraid any other breakfast sandwich will just taste too bland compared to this one. Is your mouth watering yet? They also have two kinds of lunch sandwiches! If you’re a vegetarian, don’t worry, there’s options for you too! 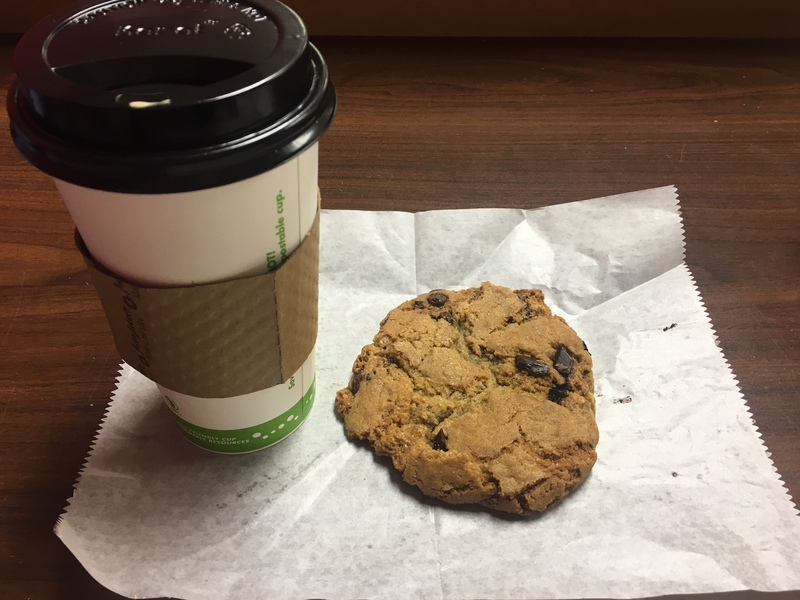 I finished off my order with a giant chocolate chip and sea salt cookie, because why not? 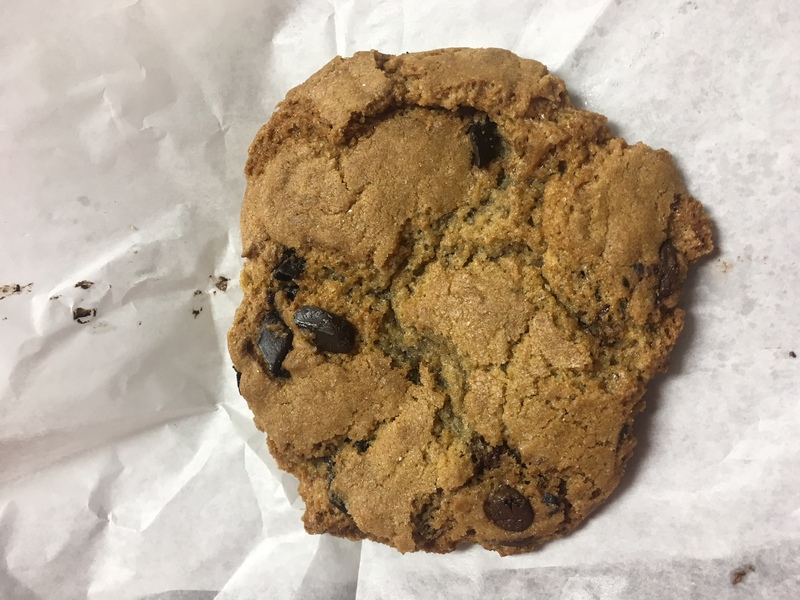 This cookie was crunchy on the outside, yet soft on the inside. It was also the perfect combination of sweet and salty, so it didn’t leave you feeling like something was missing. 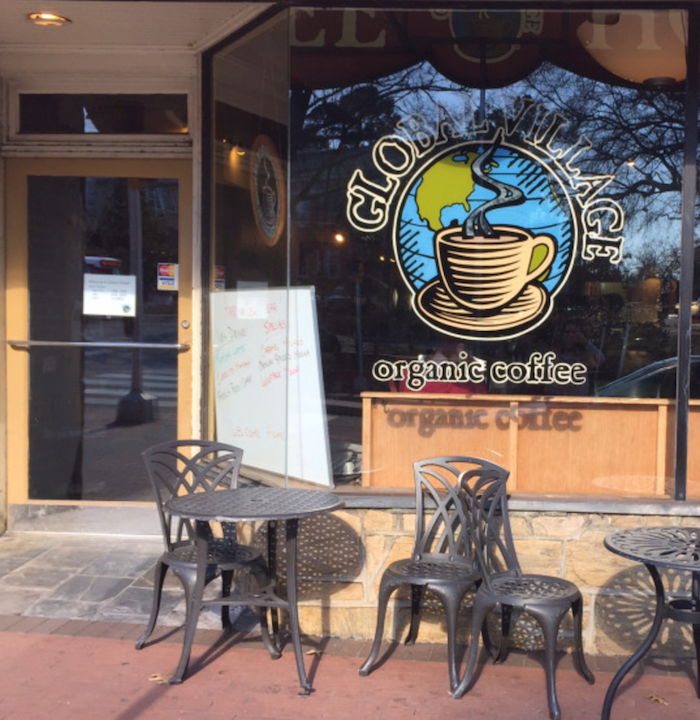 Not only does Global Village provide comfy seating and free wifi for customers, they pride themselves on being environmentally friendly with compostable and recyclable cups and packaging. 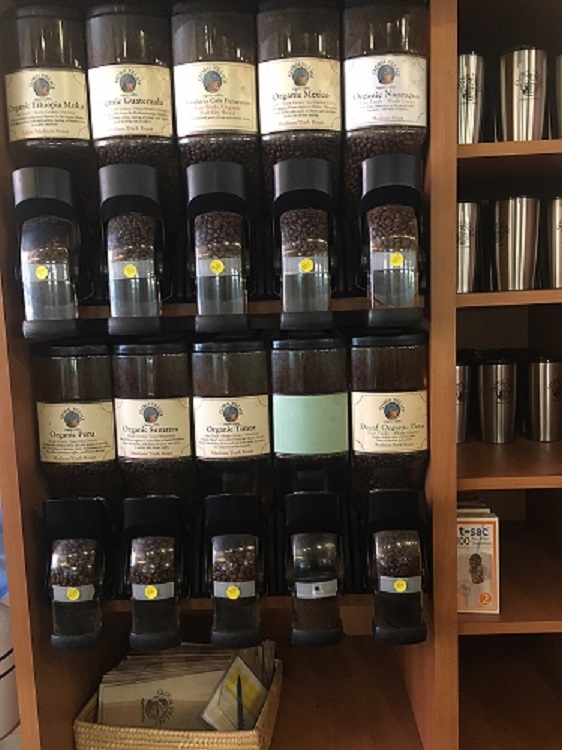 For instance, they also use local vendors to get their merchandise, such as sourcing their honey from hives right here on Hillsborough Street at Piedmont Litho Inc.
Another neat thing about Global Village is their coffee bean station. This station stands across from the counter with different types of coffee beans that you can buy to make your own coffee at home. They even grind the beans right in the shop! The Global Village menu is also full of many different kinds of teas and other specialty drinks. This is definitely a place I will return to as the weather gets colder.